Which milkshake flavor sounds the best out of these? This is from a chain of fast food restaurants in the Southern US called Cookout. A former gag girl, my now buddy has told me about this place and cheerwine floats. Which honestly sound awful. If I ever get around a cookout imma try eating there. I’m p basic. Chocolate malt or Hershey’s chocolate.. possibly strawberry and that’s probably about it. I understand it’s cherry flavor. Which I don't know I’m p fickle about cherry flavoring. And that is exactly why I can’t take cherry flavored drinks n stuff cuz it reminds me of medicine. I can eat cherries and cherry pie but not much else. The classics - vanilla, chocolate, and strawberry. I would be interested in giving Oreo Mint and Chocolate Chip Mint a shot too. Breakfast in bed or dining? What are your favorite go to sweets? What was the first alcoholic beverage you've ever drank? If you drink, what drink do you usually order? What was in this girls drink? Chocolate Chip Cheescake and I HATE the fact I came across this because now I really really want one. I’d either choose peanut butter fudge or cheesecake for an indulgent choice, or I’d just go for safe vanilla/strawberry. Oreo and strawberry are my go to: but I’d try the pineapple, peanut butter, and snickers. I would take Banana Nut, Chocolate Mint or Cappuchino. If I had to pick a non-seasonal... I'd try the cherry cobbler. Sounds interesting! Wow! I wish we had one of those up north. Ah, fiddlesticks! Peanut butter and fudge sounds divine right now. Sometimes I really dislike living in Mass. This is one of those times. I lay claim to the banana pudding! Butterfinger, Chocolate chip mint, and Oreo mint. 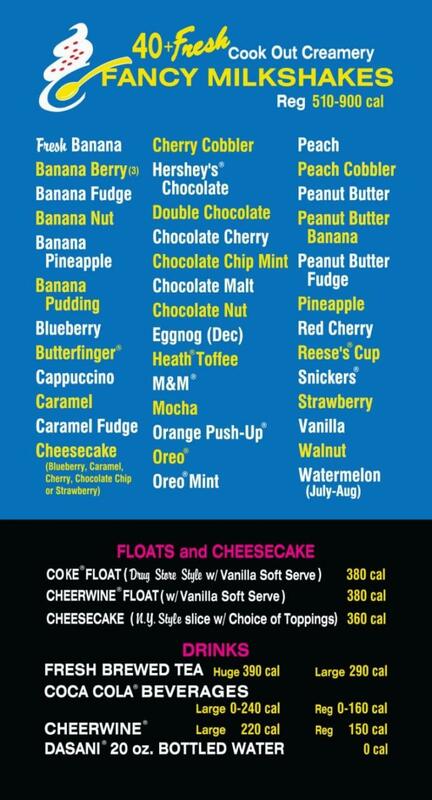 All milkshake flavors sound the best! Blueberry cheesecake all the way. All the not so healthy options!! Home > Food & Beverage > Which milkshake flavor sounds the best out of these?